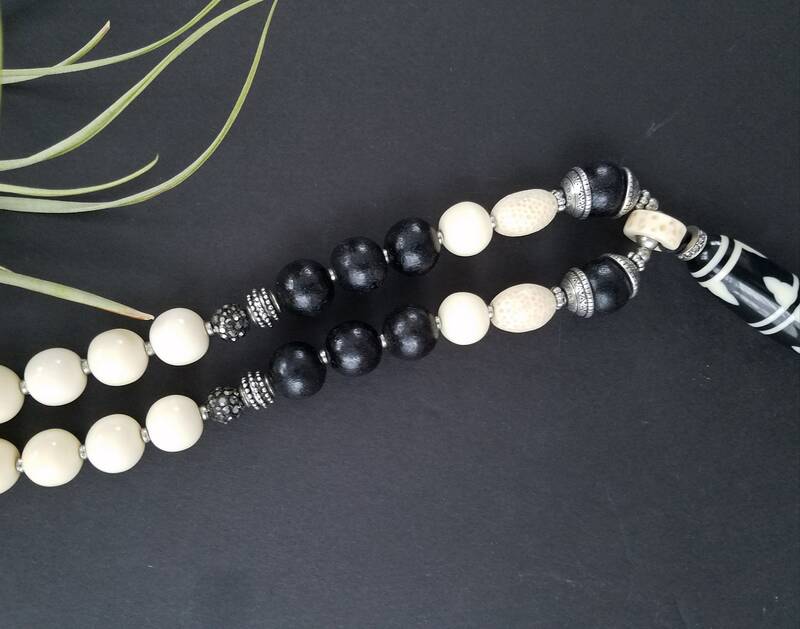 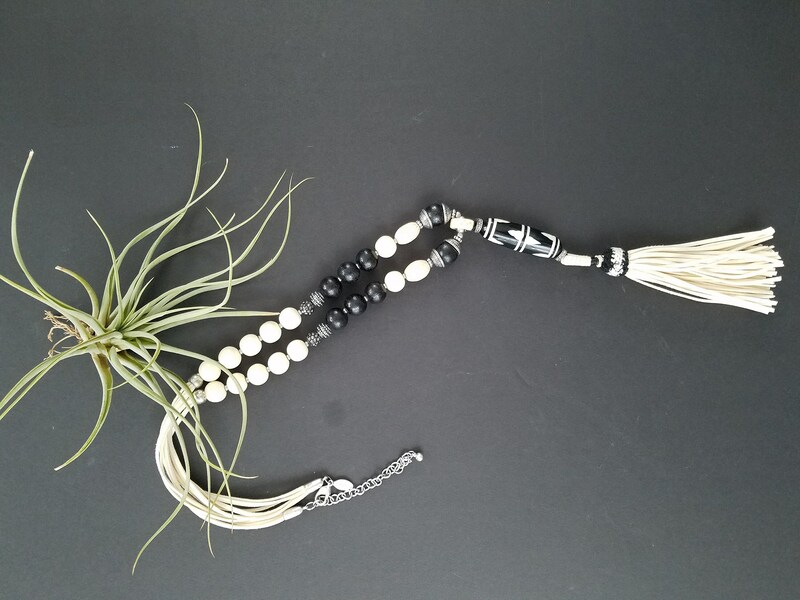 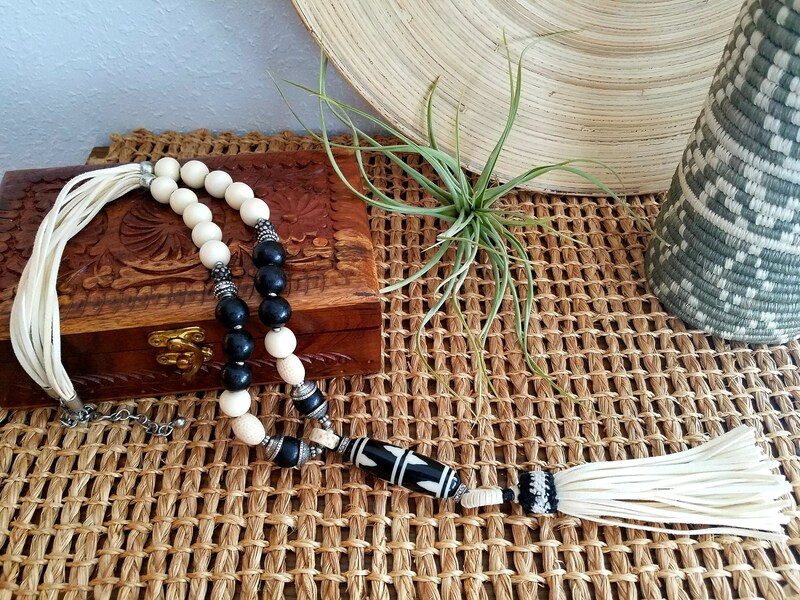 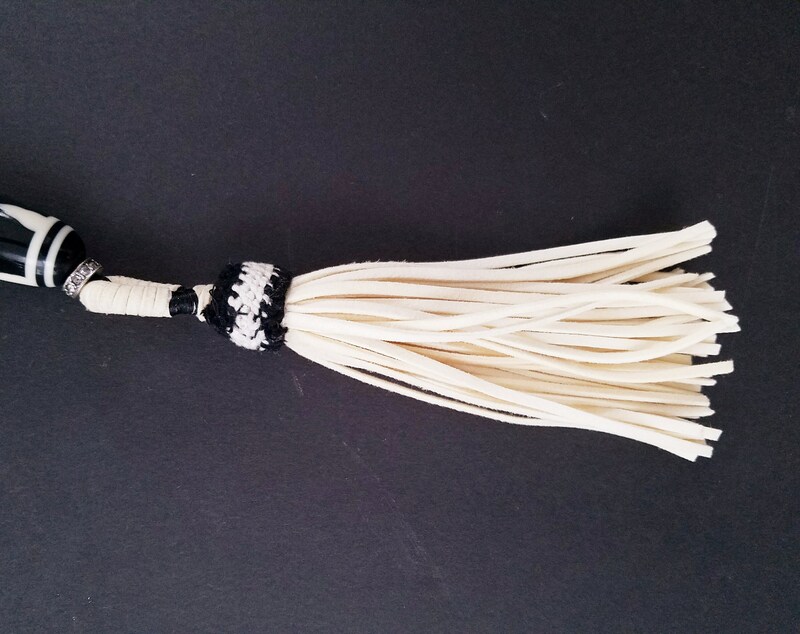 Beautiful long black and cream bead necklace with Tassel accent. 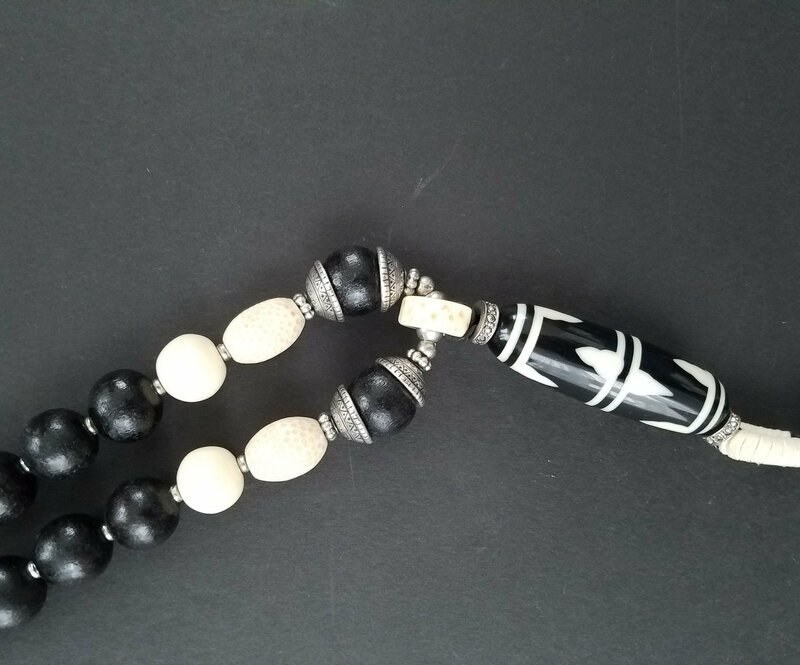 Has an adjustable hook and would look great with a favorite sundress. 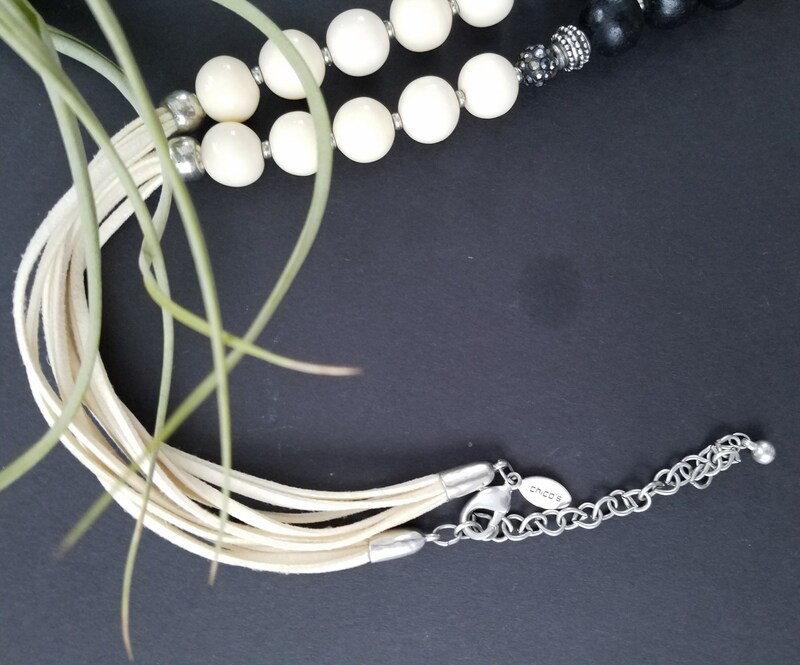 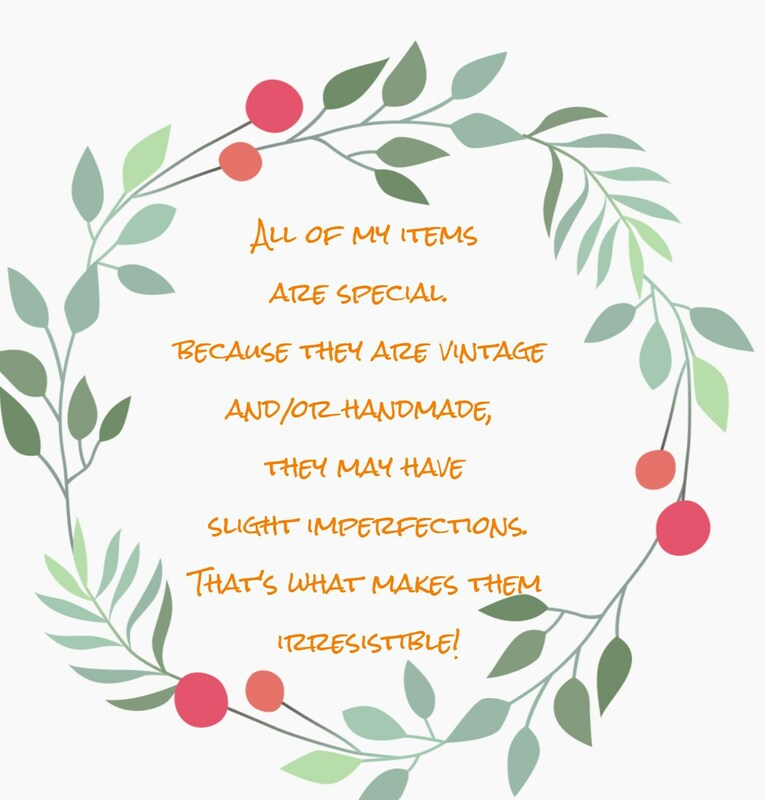 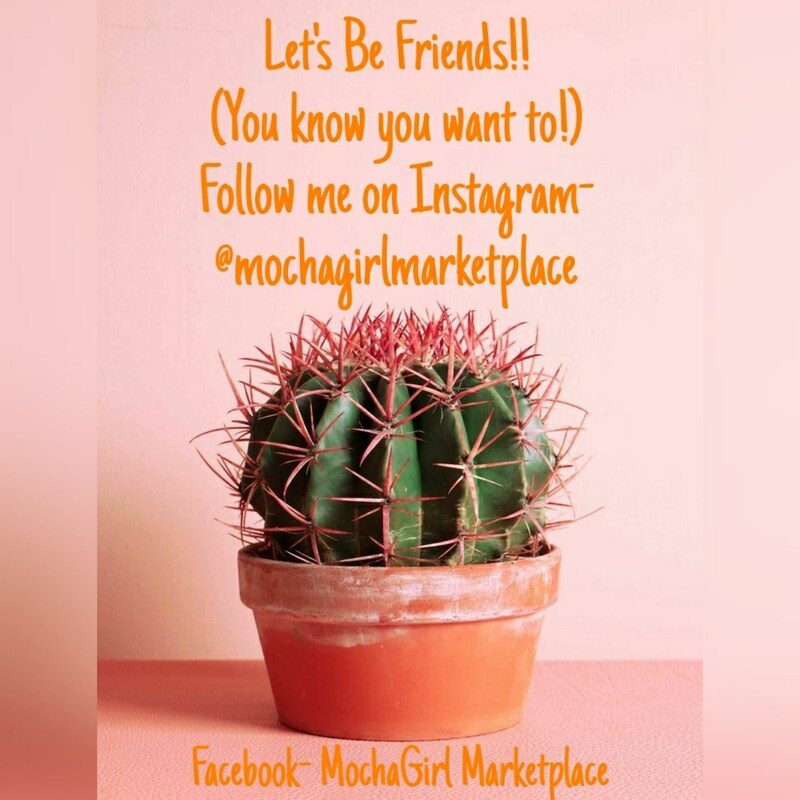 This necklace is in perfect condition and would make a great birthday gift.